I was sure I was going to fall 400 feet into the sea. I was thirteen years old and on a student trip to France when a friend and I decided to go parasailing over the Mediterranean. When it comes to window blinds, our options for something that’s truly unique can seem limited. 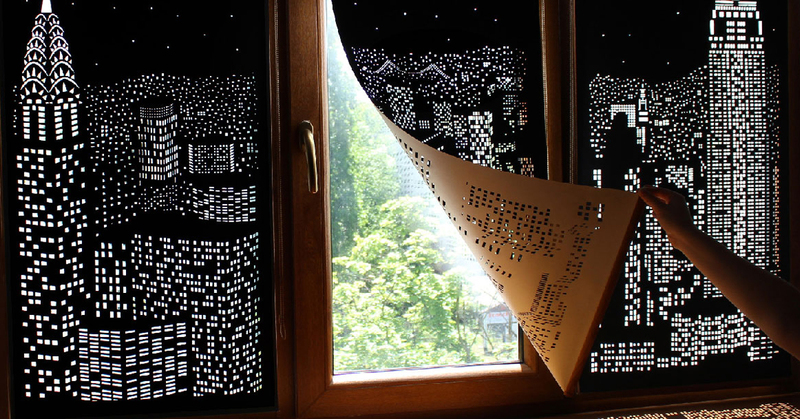 But as Ukrainian designers HoleRoll demonstrate, modern blinds for windows can transcend their practicality and double as spectacular shadow art for your home. They’ve created panels that, when closed, create the illusion of glittering cityscapes at night. In 1950, India’s prime minister Jawaharlal Nehru invited the architect Le Corbusier to design a modernist city that broke with the country’s colonial past. Shaun Fynn explored the world heritage site. Perfection is boring. Getting better is where all the fun is.